Photo Courtesy of Senator Avella’s Staff. Senator Tony Avella and NYC Park Advocates stood together with supporters against the USTA's attempts to secure what they have deemed the unnecessary acquisition of parkland. 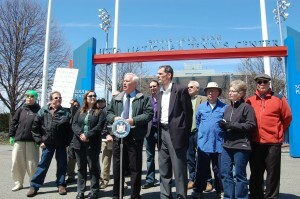 Led by State Senator Tony Avella, a group of civic associations and park groups rallied on Sunday to send yet another strong message to the United States Tennis Association (USTA) to keep its hands off the parkland at Flushing Meadows-Corona Park. Avella, who is running for borough president, was joined at the entrance to the USTA by a number of community groups including the Queens Civic Congress, Save Flushing Meadows-Corona Park, Juniper Park Civic Association, West Cunningham Park Civic Association, Hillcrest Estates Civic Association, Bay Terrace Community Alliance, Auburndale Improvement Association, NYC Park Advocates, as well as other members from nearby communities who care about parkland. The USTA’s proposed expansion, to build new stadiums and new parking facilities, would require relinquishing 0.68 acres of parkland permanently to the association in addition to the 42 acres of parkland that they already control. But, the project will actually seize parkland without replacing it, thus robbing the community of public green space. Together with the proposed construction of a Major League Soccer stadium as well as retail stores which will comprise the Willets Point development, these three projects represent a major push for parkland in Queens as well as in the entire City. The projects will result in the elimination of vital parkland from Queens’ most prominent park, which provides open space and recreation to thousands of borough residents, immigrants low and middle income families. Avella noted that despite repeated claims by the USTA that their facilities are open to the public; the gated tennis court cannot be utilized without paying $66 an hour on weekends. 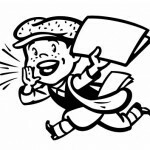 Community activist Christina Wilkinson asked why the local elected officials were offering to hand over more of Flushing Meadows when the USTA gave two scenarios in their own Environmental Impact Statement that showed they could rebuild within their current footprint without additional alienation of parkland? “Thank goodness we have Tony Avella running for borough president because all the others can’t wait to get in there and make deals to sell off public parkland,” Wilkinson said. 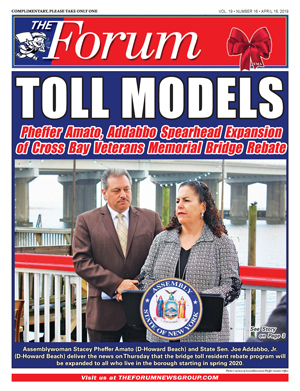 Further, Croft recently penned an Op-ed in a local newspaper where he came out against a new plan by Council member Julissa Ferreras to create a new nonprofit alliance on behalf of Flushing Meadows-Corona Park. The plan for the alliance would be to collect money from the USTA and other businesses using the park and spend that money exclusively on the park. “Agreeing to a deal that puts money into a park fund in exchange for a yes vote, along with a few other ‘concessions’ is a misguided policy that would allow the USTA to expand and set the stage for more businesses to try and take more public parkland,” Croft wrote.